The Monster and attending Mad Scientists are blinded by the light of a glorious, luminescent Bride on this pastel poster by Constantin Belinsky (1904-1999) marking the release of Bride of Frankenstein in France, in 1935. Belinsky arrived in Paris from his native Ukraine in 1925. He would come to share his time between commercial work as a movie poster artist and fine arts as an award-winning sculptor. His first poster was a vivid one-sheet for Scarface with a prominent credit for Boris Karloff. Though many of his posters were done in traditional oils, he was also known for his unique, modernistic posters with angular drawings and flat, vibrant colors. After a wartime lull when his poster work fell way off — he managed to produce two elaborate posters for the 1943 Phantom of the Opera — Belinsky picked up again in the late Forties and became, through the next three decades, one of the most prolific movie poster artists in Europe. 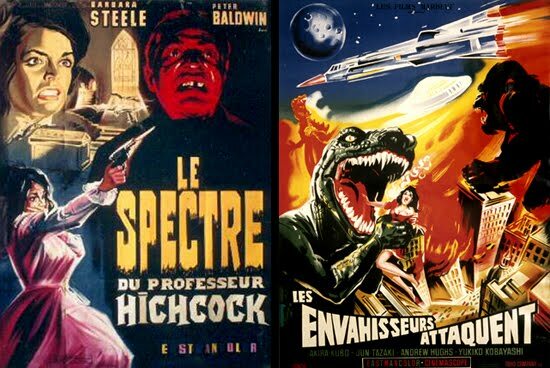 He would create art for the French release of such genre titles as The Incredible Shrinking Man, The Mole People, Creature from the Black Lagoon (and sequels), The Deadly Mantis, The Monolith Monsters, Monster on the Campus, Dinosaurus and Destroy All Monsters. Belinsky also produced numerous posters for Sword and Sandal epics, Spaghetti Westerns and B-grade gangster movies, culminating in a series of Seventies Kung Fu action posters until his retirement in 1983. 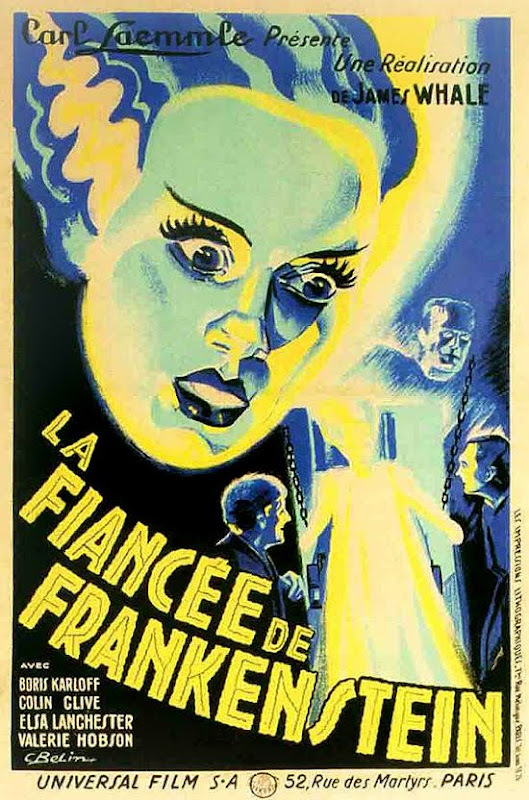 Along the way, he painted a number of Hammer Films posters, notably Dr. Jekyll and Sister Hyde, and classic exploitation work including Ricardo Freda’s The Specter of Dr. Hichcock (aka The Ghost) and Jean Rollin’s The Lake of the Living Dead/Zombie Lake. Constantin Belinsky’s fabulous Fiancée poster is signed “C Belin”, a form he abandoned early in favor of “C Belinsky” or, more often, simple initials: “CB”. Film historian Christophe Blier published a book, Constantin Belinsky: 60 ans d’affiches de cinéma in 2000. Long out of print, it deserves to be reissued.